Welcome back Gallery Game Participants! We will only be holding four Gallery Game Events for 2019! March 15th, May 17th, July 19th and September 20th! Make sure to check our updated rules and “How to Play” section! Curious on Where to Park for this Coming Gallery Game? 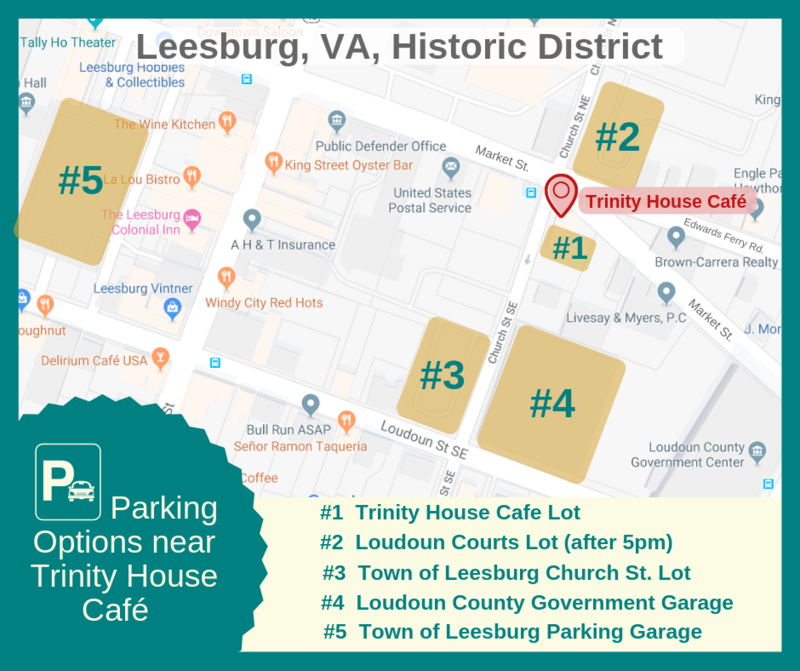 There are 5 different parking areas close in proximity to March’s Gallery Game “Go” site, Trinity House Cafe! Parking is free after 5 PM, see the map below for more information on where each parking area is located! What a great way to advertise your business AND support art in Leesburg!